Unable to Attend a Service? 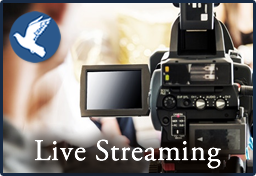 Roller Funeral Homes is proud to be the first in the state of Arkansas to provide webcasting of a funeral service. It is the most innovative service we have to offer the families we are honored to serve. It will allow your family and friends who are unable to attend in person to view in real time or at their convenience over the internet in a safe, password protected forum while sitting in the privacy of their own home. We know this cannot replace attending a service or funeral for someone you love in person. However, for someone who is sick, elderly or whose travel schedule does not allow them to attend, Roller Funeral Homes continues to embrace cutting-edge technologies that will help assure everyone can be included. "Funeral webcasting has been a blessing for many families we are privileged to serve. Whether it is families stationed out of the country or an aunt and uncle that just want to share with their 'assisted living family' the memory of their loved one. It has helped provide comfort to the families and friends when they are unable to attend."